Brian's Story: Brian and Port Orford. We moved to Port Orford in 2003, while Brian was still at Riverside, in college. He had visited this part of the country with his sister, and had actually spent a night north of here in Bandon. He fell in love with this part of Oregon, and was happy to know that after a couple of hours on a plane to Eureka, he was back with us. We picked him up in Eureka and drove the three hours to reach Port Orford, talking all the way. 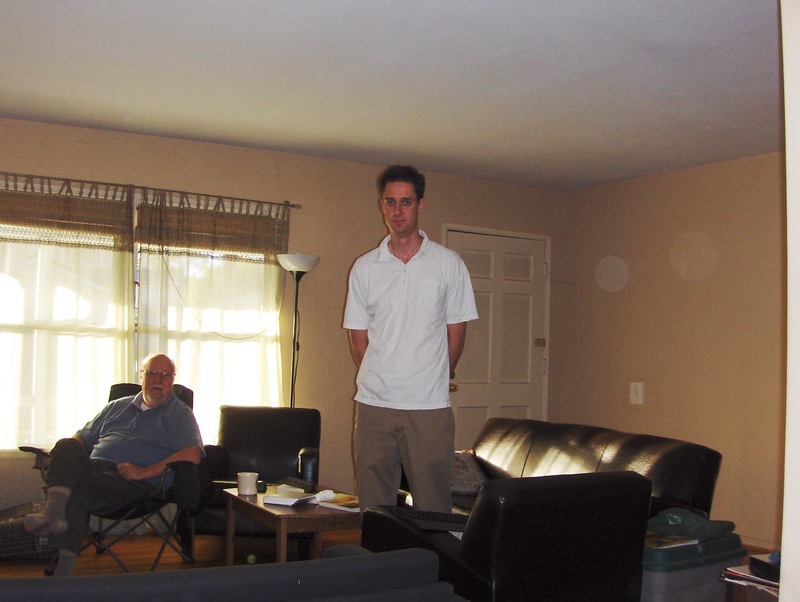 Our moving away from his childhood home, meant that Brian didn't return home after college. He remained in Riverside, working at the University during summer vacation, until he got his job at L3 and moved to Long Beach. I remember the time he called to tell us about Wooly's (his dog) illness. Losing Wooly to cancer broke his heart. 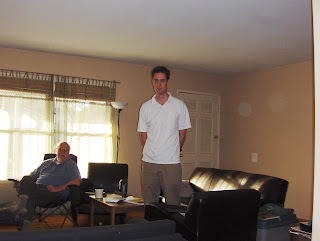 This picture was taken in November 2009, a few weeks after he bought the house and acquired his new dog, Buttercup. For two plus years, he dreamed of buying a house so he could house a new dog. Here, he is starting to work on his front garden. Janet can tell you more about this project than I can. Brian and I had talked about this, but it was Janet who guided him through this first project. Rosaria, I know this must be difficult to do but I hope the good memories that you put to print will bring a smile to your face... and just how is Miss Buttercup Williams? I hope she's romping on the beach. I do check in on her on FB. May this "telling" bring you closure and peace. We embrace Brian ~ his memory, his story ~ with you. Once I pull up a picture and start talking, the process flows easily. My memory will not get better with time; better now than later. This is precious that you are keeping his memory alive. I have a son in his twenties ( he has had a few close calls.) How do we move on withoout them?